It may not be getting as much time under the spotlight as your other vital organs, but your pancreas is just as important as the rest. To give you an idea on its significance, this long and irregularly shaped gland located just behind the stomach secretes digestive enzymes as well as hormones like glucagon and insulin that regulates the blood sugar level. Just like your other vital organs, the pancreas needs to be properly nourished in order to keep it in a tip-top shape. There are a handful of conditions that may strike it, such as pancreatic cancer and pancreatitis (inflammation of the pancreas). Health authorities say that eating the right foods can help ward off problems concerning this very important gland. What makes red grapes very good for the pancreas is the impressive amount of resveratrol it contains. Resveratrol is an antioxidant revered for its anticarcinogenic properties. In other words, it is capable of inhibiting the formation of cancer cells. 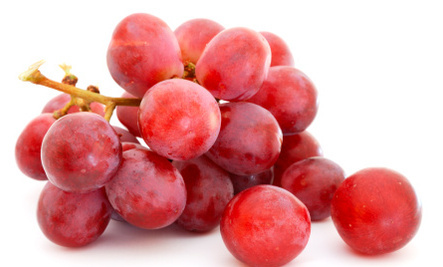 The consumption of red grapes is highly recommended for people with pancreatic cancer because resveratrol in them is known to induce apoptosis — death of cancer cells. In addition, resevratrol is very good at reducing inflammation and preventing damage to the blood vessels supplying the pancreas with nutrients and oxygen. Adding the likes of broccoli, bok choi, arugula, cauliflower, Brussels sprouts, cabbage, mustard greens, kale, watercress, turnip and radish to your diet is good for the pancreas. That’s because all of these cruciferous vegetables are unique from other veggies on the planet due to the glucosinolates they contain. Glucosinolates are compounds known to posses superb anticancer properties. If possible, according to the pros, broccoli and other cruciferous vegetables should be eaten raw or lightly steamed to ensure that you enjoy the most amounts of glucosinolates and other nutrients in them. It’s no secret that eating yogurt is good for the gut. That’s because it contains billions of friendly bacteria that help with proper digestion and suppression of the proliferation of bad microbes in your intestinal tract. By regularly consuming yogurt, you are reducing the digestive workload of your pancreas. Other wonderful sources of good bacteria that help keep your pancreas in top-notch condition are miso, kimchi, kombucha, kefir and miso. As mentioned earlier, one of the many roles of the pancreas is the secretion of insulin that controls the level of sugar in the blood. To help keep this large gland from undergoing a lot of stress trying to normalize the blood sugar level, it’s a great idea to consume sweet potatoes that gradually release sugar into your bloodstream. These well-loved spuds are also excellent sources of fiber that helps ward off constipation, as well as vitamins A and C that, respectively, promote good vision and a stronger immune system. This herb that makes so many dishes taste wonderful is also very good at safeguarding your pancreas from harm. That’s because garlic is loaded with a chemical compound known as allicin, something which has anticancer and anti-inflammatory properties. To maintain the health of your pancreas, you may serve more dishes containing garlic in them, swallow 2 to 3 cloves of it daily, or regularly take capsules containing garlic oil.